Mary Poppins Comes Back: P.L. 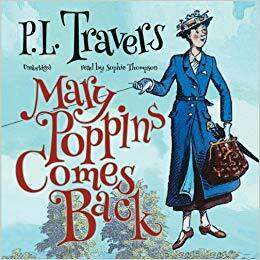 Travers - My opinion that Mary is not a soft touch has not changed… but, I enjoyed this story when she returned to the Banks children and 17 Cherry Tree Lane. Brava Valentine: Andrianna Trigiani - I thoroughly enjoyed this story of the cautious Valentine Roncalli, her family and her family business the Angelini Shoe Company. I am a big fan of this author I loved The Shoemakers Wife. She has a large library of titles. I have a few on my To Be Read list - including: Kiss Carlo and Lucia Lucia. The Good House: Ann Leary - What can I say… something I loved about this book I learned when I was finished reading it…. which is Ann Leary intended the book to go in another direction and the main character Hilde was not supposed to be the main character - But, Hilde took over the story because she’s quite a character… she likes her wine too much…. The Gentle Art of Swedish Death Cleaning: Margareta Magnusson - It’s a sweet book - it takes you through Mrs. Magnusson’s thoughts on keeping and letting go… This is not Marie Kondo - this is a very practical woman advising you to ask if anyone wants something and if they don’t - just get rid of it! Every Last One: Anna Quindlen - This is a gripping novel… it went in a direction I never expected but, I was committed to seeing where it went and it left me better for having read it. Joan Didion:Netflix Bio Pic The Center Will Not Hold.- I chose to watch this documentary of Ms Didion although I have yet to read her. I enjoyed learning about her life as her nephew Griffin Dunne interviewed her. She is a prolific author and I have added The Year of Magical Thinking to my reading list. 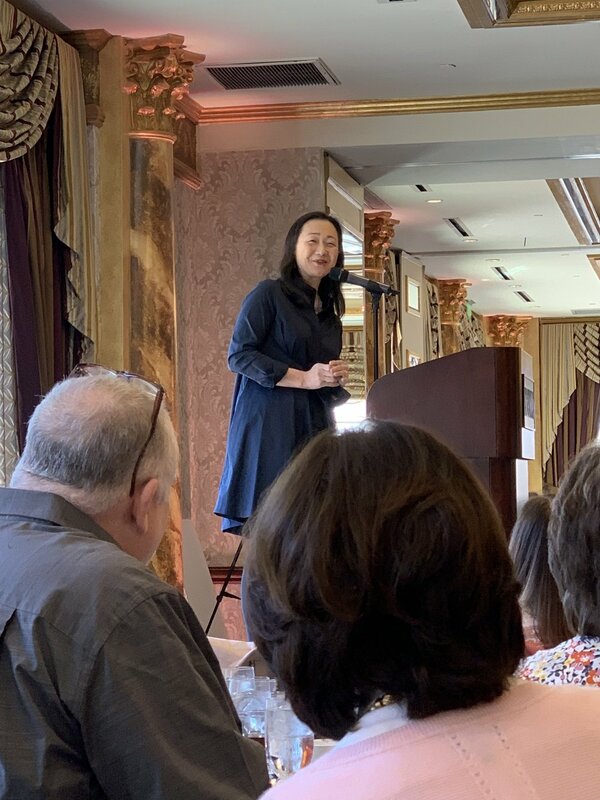 Gossip: Beth Gutcheon - I loved listening to Loviah French share the details of her life and her dearest friends since boarding school days (she was there on Scholarship). Now, as the proprietress of a high-end dress shop on Manhattan’s Upper East Side - she sees and knows all! Pachinko: Min Jin Lee - This is the moving story of one Korean family through several generations - beginning in Korea in the early 1900’s and following them to Japan. Sunja is the lovely daughter who makes a hard choice and ends up in another country in exile. Her family endures much as foreigners in their new land. If you are unfamiliar with this book and this author I can’t recommend it enough - and also I would recommend a book I read last year: White Chrysanthemum: Mary Lynn Bracht- I was unfamiliar with the history of Japans invasion of Korea and of girls kidnapped from their families This story is gripping and hit home with me as a sister and a woman. Hard to put down. This Is The Story Of A Happy Marriage: Ann Patchet - shares her life from childhood to the current day. I listened to this book through Hoopla and to Ms. Patchet reading it… It makes it all the better when the author reads their own words. I previously read Commonwealth and this book still pops into my brain. I started watching quite a bit of You Tube. I love Fake or Fortune the fabulous BBC show that marries art and detective work - is that art on the wall a priceless Renoir or simply a good fake??? Oh and the art friends.. its all so beautiful! But lets talk about my newest love! I am OBSESSED by all things Quintessence - Stacey Bewkes wonderful creation the Lifestyle Blog, the IG feed and The YouTube At Home Series hosted by Susanna Salk - offering access to the most magnificent designers and tastemakers in their homes around the globe - while Stacey films the beauty and conversation. I have a way too long To Be Read list that currently numbers 98 titles - and growing daily! It includes Jane Erye, Crazy Rich Asians, the Poisonwood Bible - just to name a few.